Michigan headquartered; national electronics provider Murray Percival Company has announced the addition of Weller Soldering Systems and Tools. Weller products are available for purchase on-line through the Murray Percival Web Store. 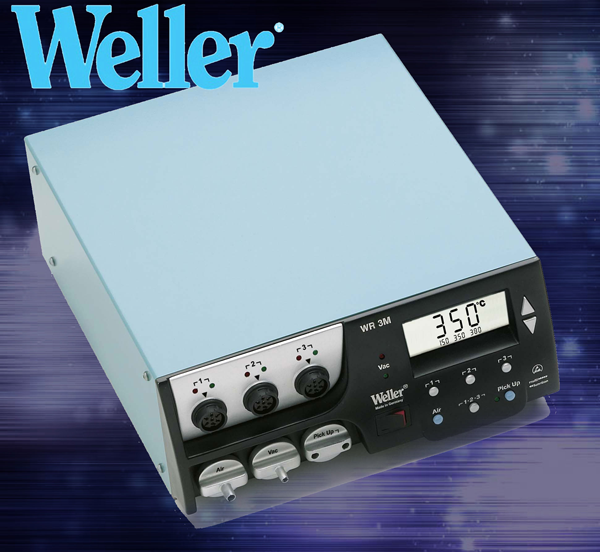 Since 1940, Weller has been the trusted source for all soldering needs. From consumer irons for home-based projects to soldering solutions for high-performance industrial needs, they offer robust and reliable systems at a low-cost of ownership. Weller soldering tips are designed at their world-class research and development center in Germany. Their finely crafted, cost-efficient soldering tips heat up quickly and are easy to change. The tips combined with high-powered heating elements form a consistent, heating system to achieve the highest quality solder joints. Combined with an ergonomically designed iron, this workhorse technology is the durable and efficient soldering system you can depend on.